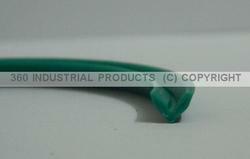 We develop P U V-ring as per the requirement, using injection molding technology. Which has long lasting friction. Offer wide range of V Ring. V ring are suitable to be used in hydraulic machines for providing excellent sealing solutions. They are available in different dimensions to meet the requirement of the clients. These seals are highly acknowledged for their precise dimension and smooth texture. Premium quality High performance, Longer working life, Easy fitting, Cost effective price. V rings is fixed on the shafts, they seal axialli against a perpendicular counter face, whether it is the housing it self for a bearing outer surface. They can be utilised as either a primary or backup seal and do an excellent job as a slinger of foreign materials, specially at higher states. We are involved in Manufacturing, Exporting and Supplying of Rubber V-Rings. 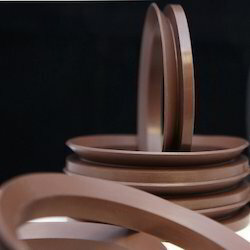 The Rubber V-Rings are severely tested for quality control in order to ensure supreme customer satisfaction. The Rubber V-Rings have several distinct qualitative features that are highly appreciated by the clients world-wide. We offer these Rubber V-Rings at market leading prices. We are offering Rubber and PU V Seal to our clients. We are a renowned manufacturers of Rubber V Rings, which are available in standard and customized sizes. Rubber V Rings are manufactured by our ingenious experts with the help of premium quality rubber and modular machines in conformity with the international norms. Our offered ring are provided in various sizes to meet vast requirements of the Client's.